Many people already know how to find shopping deals on their own. TV ads, email updates, newspaper inserts, Internet searches — there’s a method for every searching style. But, what if you knew there was a team of shoppers keeping an eye out for bargains one might miss? That’s where the Local 4 Tweet Team comes in with its crew of shopping experts. Hay has her own consulting business called “Hay There Social Media.” She’s recruited women from Detroit, Howell, Sterling Heights, Novi and other local communities. She has assembled a group of people who have been hunting for bargains and sharing their secrets on social media for years. “I started blogging close to 13 years ago,” said Allen Park’s Jenn Padgett, one of the recruits. They like saving money and sharing those savings with friends, followers, and now Local 4 followers. This expertise can come in handy in an area as large and segmented as Metro Detroit, especially with the limited time frame shoppers have to snap up Black Friday discounts. “Shopping in the city is definitely super difficult, so having social media to find different deals is definitely a bonus,” Murdoch said. This Black Friday, you can follow these women on the Local 4 website and on Twitter. They’ll lead you right to some holiday savings. The Local 4 Holiday Shopping Frenzy kicks off at 8 p.m. Thanksgiving and runs 24 hours — through 8 p.m. on Black Friday. 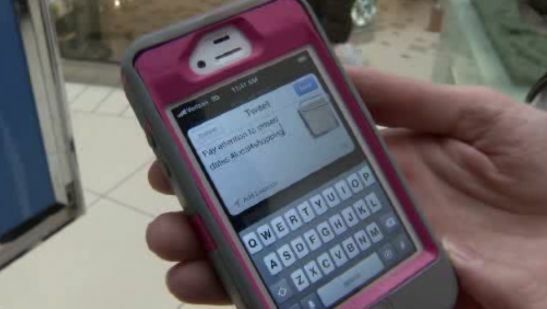 You can follow along on our Shopping Frenzy page or on Twitter at #Local4Shopping. Originally posted on ClickonDetroit.com on November 19, 2012.